The Arnold Motor Supply Night of Fire returns to Cedar Falls Iowa!! 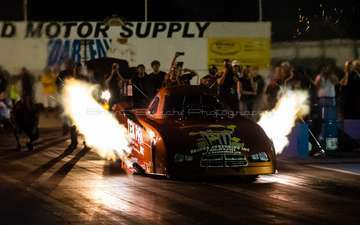 Come out and watch all the ground pounding, Nitro Burning , Flame throwing action as the pro driver light up the night!! National recording artist PJ North will playing a live show concluding the pro show and fireworks!!! The Cedar Valley comes to life only once a year, so where will you'll be? ?